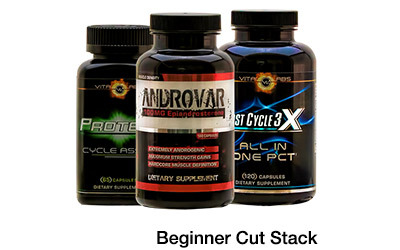 Hard Rock Supplements has long been known for their paradigm-altering supplements that allow users to kick their physiques up to the next level. 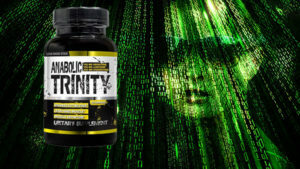 Anabolic Trinity, named for its triple compound ingredient stack, is making waves among experienced users who are looking to get results at the caliber provided by the supplements of yesteryear. The first of the trinity, Androsterone, is a metabolite of testosterone that can convert into dihydrotestosterone (DHT) (1), which activates androgen receptors leading to higher libido as well as greater muscle mass, strength, and power (2). In one study, androsterone was even shown to help reduce fat mass while increasing muscle and strength (3), however due to its potency will require on-cycle and post-cycle support. Anabolic Trinity also features Epiandrosterone, a derivative of DHEA that also converts to DHT (4) and is chemically similar to Androsterone. So why include both in one stack? Epiandrosterone acts as a precursor to testosterone and even helps boost nitric oxide production to increase pumps (5). It also has the ability to bind to GABA receptors (5), which may increase mood and overall feelings of well-being. Finally, Hard Rock Supplements rounded out the formula with the reigning champ of natural anabolics, Laxogenin. Laxogenin is a plant-based anabolic building block that helps your body produce an anabolic response with little to no androgenic effect (6). Laxogenin can not only help preserve your hard-earned gains, but also help you build mass while shredding by promoting up to 200% more protein synthesis and increased muscle mass gain. In fact, one study showed users gaining 10-20 lbs of lean muscle in just two months (7). A stack this powerful should only be used by those who already have a few cycles under their belt and are in need of something more powerful. Will this triple threat stack have jaws dropping at your physique? Or is it just another bottle of empty promises? You be the judge – Anabolic Trinity is available exclusively from Strong Supplement Shop. Can this be taken by wonen? Hi Kim- Thank you for your question. I am sorry but Anabolic Trinity is NOT intended for women. A better alternative for women is either Anafuse or Epi 2.0 if you are looking for muscle gains support. Anafuse is a dual stack of natural anabolics. It has been the Top Ranked Natural Anabolic for the last 3 years and is used by Men and Women. Epi 2.0 contains a single natural anabolic (Epicatechin) and can also be used by Men and Women. 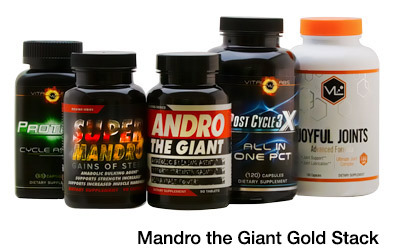 If i am looking to cut what should i buy annfuse or anabolic trinity? Thank you for your question. If this is your first time trying a cutting agent I’d suggest you take a look at True Shred and see if that might be better for you. Anafuse helps to build more muscle and won’t reduce as much fat, its a solid way to build a foundation of muscle prior to sculpting your physique or if you are just plain bulking. 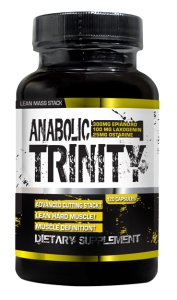 Anabolic Trinity is a three compound stack, someone who has done multiple cutting cycles would benefit more from Anabolic Trinity. True Shred is also a stack but is not just about building muscle. It has 7-keto and an estrogen blocker which work to help you build well defined hard lean muscle. It also contains a natural anabolic, Laxogenin, which helps you to maintain or grow muscle while you cut. 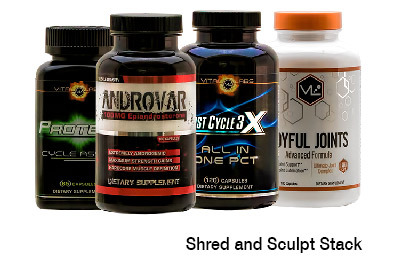 The other thing nice about True Shred is that it doesn’t require on cycle or post cycle therapy, thus its total cost is significantly less than that of Anabolic Trinity. In the end customers report very good results with both.